Sneaker inspiration and the Born comfort you know and love come together in the Born Richie slip-on sneaker. 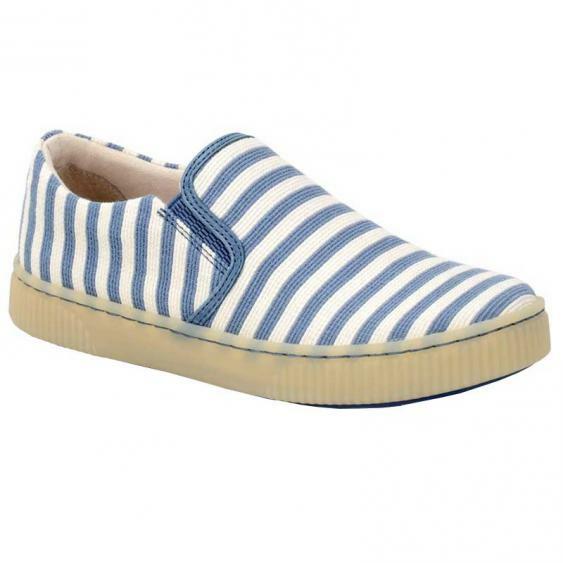 This women's casual style features a stripe printed canvas upper with dual side goring for easy on/off and that of-the-moment look. The soft suede lining creates a healthy environment for your feet, and the fully cushioned and removable insole provides hours of comfortable wear. Opanka hand-crafted construction ensures a durable, yet flexible hold. The sporty platform cupsole adds to the sneaker look, while providing traction with each step to keep you going all day long. Add style and comfort to your everyday looks in the Born Richie slip on sneakers.